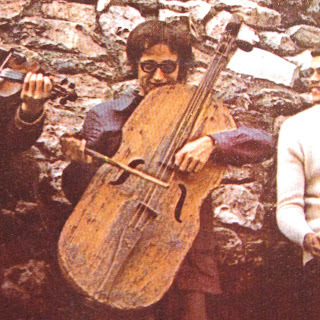 Not long ago, I found an album at a thrift store by Hungarian musicians The Sebo Ensemble, released sometime in the Seventies. The music is impressive, but what really caught my attention was in the liner notes -- the photos of this brooding hulk of an instrument. 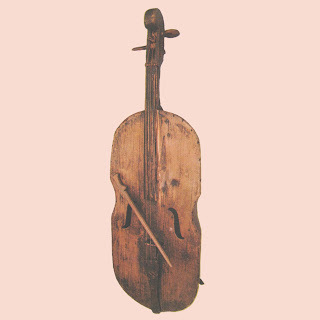 The instrument is an "utogardon", also called a "hit gardon". I've read that the hit gardon is carved out of one piece of wood, and while it has strings, it is played more as a percussive instrument. I've found no video of this one being played by the Sebo Ensemble, but you can see a somewhat less-striking one being played below.